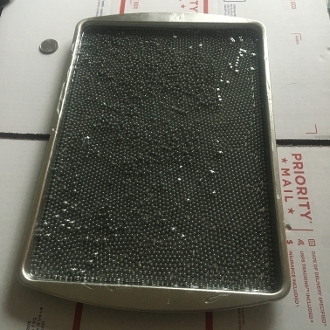 I used a 11in x 17in cookie tray with Nickel coated BBs to make this Orgone Charging Tray. I also put 24k Gold Ormus powder and Rose Quartz in the resin matrix to cleanse the energy. Something I don’t hear that often that you need to make sure is in the resin to clean the energy is a type of quartz. 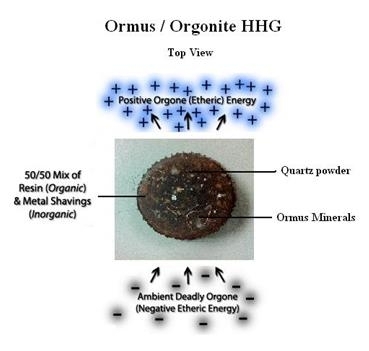 There's a lot of Orgonite being made without that simple step of using powdered quartz to clean the energy which means you could be attracting and accumulating negative Orgone energy. The BBs are small enough to add up a lot of layers and their round shape helps the energy stay smooth. When you add odd shapes with jagged edges it can make less harmonious energy so that’s why I like using the BBs. This is great for charging your Ormus or other vitamins and minerals. Also you could use it like a food tray and charge your food with good vibes. I use these charging trays to put products on while they are waiting to be shipped. That way they are filled with good vibes right before I wrap them up in foil.